A fantastic three day FA Cup Weekend! We’re adding an extra day to the weekend! 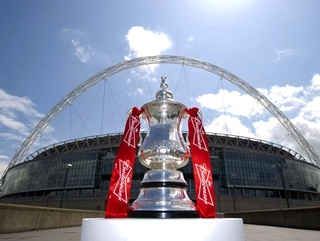 On Friday, take a trip down to the Broadfield and have a picture taken with the FA Cup. 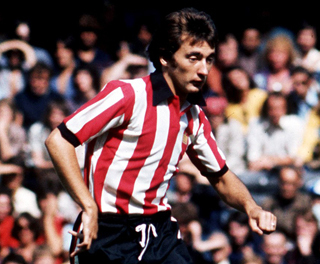 On Saturday, former Chelsea, Arsenal, Stoke and England Midfield Maestro Alan Hudson visits Redz Bar to regale us with tales of Ramsey, Revie, Best and Pele- amongst others. 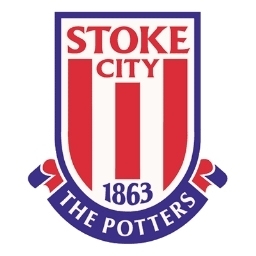 And then, to cap it all, on Sunday Premier League Stoke City arrive in the Fifth Round of the FA Cup, with Redz open from 9 AM to serve early arrivals. How are we all going to cope with the excitement? So, let’s start with Friday. The FA Cup will be available at the Stadium from 1PM to 4PM- so pop down, bring the kids, bring a camera and pretend you’re Pablo Mills at Wembley on 5th May! On Saturday the living legend that is Alan Hudson will be at Redz Bar from 7.30 PM- as announced in all the local papers and on BBC Sussex and Surrey! One of the best midfielders England has ever produced, and voted the best player of all time by Stoke City supporters, Alan has had a varied career full of ups and downs at Chelsea, Arsenal and Stoke, and will tell all whilst you have a refreshing pint! He will also conduct a question and answer session, sign autographs, bring some memorabilia to raffle and then join us at the bar for a little relaxation of his own! Profits from this event go straight to the Crawley Town Supporters Alliance Community Fund, so not only will you be having a good time, you’ll be benefiting your club and community too. So far we’ve paid for children at two local primary schools to participate in programmes of professional football coaching provided by CTFC coaches, and we want to roll this out across the borough and then across the county! Tickets are £15, and you can simply turn up and pay on the door- but you may want to reserve your ticket in advance by calling 07565974103 or email secretary@ctfcsa.co.uk. We don’t take payments over the telephone, but by reserving you guarantee your place! Finally, on Sunday, Redz will be open from 9AM for pre match entertainment before our FA Cup 5th Round tie with Stoke City kicks off at 12. So turn up early, meet your friends, watch the pre-match build up, and then get ready for the Sixth Round draw! So, we look forward to seeing you on Friday, Saturday and Sunday!